Silence is about Portuguese Jesuit Missionaries in 17th-century Japan, who had converted large numbers of Japanese to Christianity before the Japanese government, alarmed at the threat to their culture and sovereignty, launched savage persecutions that extirpated organized Christianity and drove the remnants underground for more than 200 years, until the Meiji restoration established religious tolerance in 1871. The film follows two young Jesuits (Andrew Garfield and Adam Driver) who are smuggled into Japan to learn the fate of their mentor, Fr. Ferreira (Liam Neeson), who has reportedly renounced the faith and gone native. The young priests and their Japanese converts are movingly portrayed as intensely religious in the face of methodical and cruel persecution and martyrdom. But the Japanese understanding of religion as an essentially public and civil affair still left a space for inward Christian belief and private household devotions. Thus, in the end, one could argue the Inquisitor was defeated. The Japanese answer, however, might be that even the private Christianity of the Japanese was more Japanese than Christian. Beyond that, the real threat posed by Christianity was as a tool of Western colonialism, and that was stopped dead in its tracks – basically until 1945. One small touch that reveals the alienness of the Japanese mind, which accords absolute primacy to social roles over individual identity, is that two apostate priests were simply given the identities of dead Japanese men: their houses, wives, children, even their names. One wonders what the wives and children thought of the arrangement. But that apparently did not matter any more than whether some of them might have prayed in their hearts to Jesus. The first man is said to have been executed, so maybe the whole family was being punished. There are two debates between the Inquisitor and one of the captive priests. The Japanese clearly think Christianity is false, but they diplomatically declare that it may be true in Portugal, but it is not true in Japan. The priest glibly replies that truth is universal. Of course the Japanese wondered why a universal truth required that converts adopt foreign names and customs. They might have wondered why a universal truth came to them from men of a different race, speaking a different tongue, who told stories of a very particular tribe in the Near East (near to Europe, that is), who answered to a man in Rome, and who worked hand in glove with European conquerors and colonizers. That’s a whole lot of particularism, and in its face, who can blame the Japanese for choosing to defend their own culture, religion, and independence – with Christianity’s own weapons, if necessary? Silence is a superb film, largely because of its intelligent script and sensitive acting. The pacing is slow and thoughtful. The camera work is not flashy, focusing on its objects for seconds at a time. There are no American gangsters, kung-fu fighting, CGI monsters, or laser battles. In short, this is a movie for grown-ups. 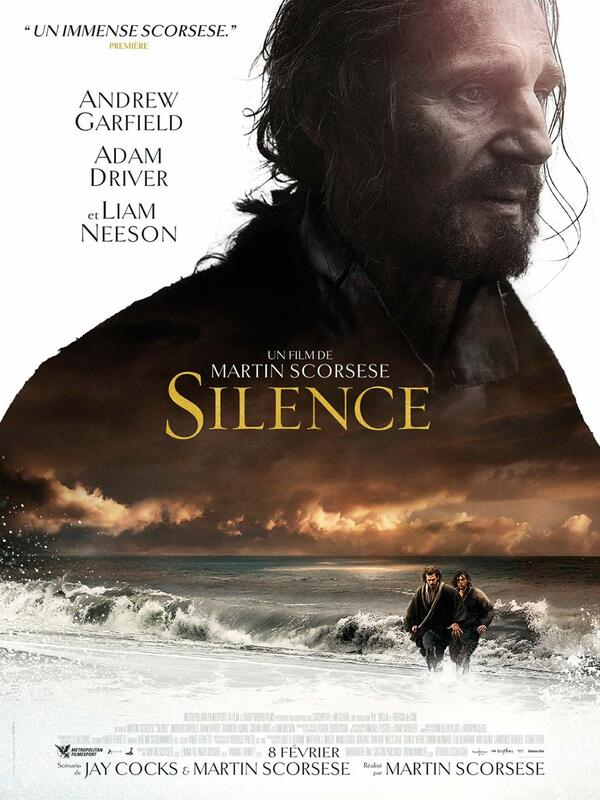 Silence is one of Scorsese’s best films. The fact that it springs from and portrays intense Christian devotion will rankle and discomfit modern Leftists. But in the end, I predict that it will win great critical acclaim. It will not sell a lot of tickets, though, unless the churches promote it like The Passion of the Christ. See Silence in the theater, not because “you’ve got to see it on the big screen,” but because we should want this movie to do well, so more movies like it are made. Although Silence was long in the making, there is a kind of symbolic appropriateness about the fact that it was released after the election of Donald Trump. Political Correctness is dying. We’re saying “Merry Christmas” again. And movies like Silence are being made. Meme it, until the spirits of the enemy completely break, until they trample on their Hope posters and begin to praise Kek. From an Identitarian point of view, Silence is somewhat paradoxical. On the one hand, it is a story about the heroism and suffering of European Christians and their Japanese converts. And for all the film’s fair-mindedness toward the Japanese Inquisitor – itself a very white thing – Silence remains an essentially Christian film dedicated, at the end, to the greater glory of God. On the other hand, all my sympathies ultimately were with the Japanese, not because white is bad and non-white is good, but because their cunning and ruthless struggle against a colonizing universalism is the struggle of all white men today.